Innovations and techniques in minimally invasive spinal surgery have continued to rapidly develop and grow over the last decade. Minimally invasive techniques in spinal surgery have lagged significantly behind those used in other specialties such as orthopedic sports surgery, general surgery, gastrointestinal surgery and plastic surgery. Minimally invasive arthroscopic and endoscopic techniques have been successfully used in these fields for many years. However, there have been significant strides made in the last 5-10 years in the area of minimally invasive spinal surgery. Still today, true minimally invasive spinal surgery is not widely used in practice. The large majority of surgeons still use traditional open surgical techniques that have been used for many years. Reasons for this are varied and include lack of adequate surgeon training and experience, the steep learning curve for these techniques, and inadequate resources to cover these treatments at the various hospitals and facilities. However, minimally invasive spinal surgery has really become a subspecialty within the field of spine surgery and continues to develop. The primary objective of minimally invasive spinal surgery is to achieve the same goals as those of open spinal surgery through a less destructive incision and approach. Stripping and removing the surrounding muscle, ligaments and bony tissue during a typical open spinal surgery can cause significant pain and disability on its own. Minimally invasive spinal surgery can avoid this and lead to less blood loss, less postoperative pain, less use of pain medications, and a faster recovery. This has been evaluated and validated with results published now in several quality studies over the last several years. As a result, innovations and techniques in these areas have continued to advance. Open discectomy surgery has been done for many years. However, techniques have been developed and improved recently to allow smaller incisions and less destructive approaches. This includes more precise targeting using imaging, microscopic magnification, and improved retractors. 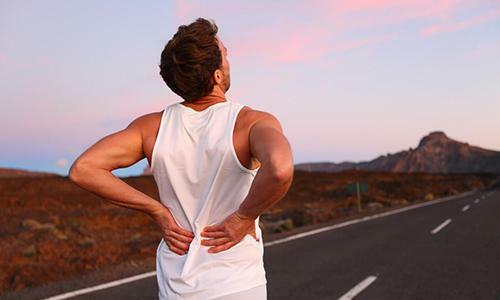 These procedures are commonly performed and involve removal of herniated disc materials that are compressing or irritating nerves in the lower back. Endoscopic spinal surgery techniques have been recently developed that allow discectomy, decompression, and even fusion through a tiny poke incision. In these procedures a small camera is inserted to allow visualization of the internal structures on a video monitor. Special instruments including graspers, radiofrequency probes and laser devices are then inserted through a separate portal within the scope. These devices are used under direct video visualization to remove or shrink the tissues compressing the nerve roots. These surgeries are technically demanding, and only a select group of surgeons are trained in performing these cases around the country. However, the minimally invasive nature of these techniques allows patients to have these performed in an outpatient surgery center and to be discharged shortly after the case is complete. There is minimal to no blood loss, minimal need for postoperative pain medications and an almost immediate return to daily activities. What was previously done through an open incision can now be done through a poke incision that is dressed only with a Band-Aid. Various minimally invasive fusion techniques have been developed and improved over the last several years. What was previously done through a large open tissue-stripping incision can now be done through a small 1-2 centimeter incision. This is accomplished through the use of various small tubular retractor systems, nerve monitoring and microscopic magnification. With these techniques surgery that was previously done through a large incision in the front of the abdomen can now be accomplished through a small 2-centimeter incision on the patient’s flank. Through this lateral fusion procedure appropriately trained and experienced surgeons can accomplish a fusion through this small incision. This can replace the larger surgeries involving abdominal incisions, retraction of the bowels and great vessels, and the potential complications associated with these older surgical techniques. Minimally invasive fusions can also be accomplished posteriorly using endoscopic and other techniques. What was previously done through a large open incision that stripped all muscular tissue can now be done through a small poke incision. Preserving the muscular and ligamentous tissue surrounding the spine can result in significantly less blood loss and postoperative pain and a more rapid return to daily activities. The sacroiliac is a long thin joint where the spine joins the pelvis. This can be a frequent source of undiagnosed and untreated back pain. This has previously been treated with physical therapy, injections and radiofrequency procedures. However, when these initial treatments failed to provide results, there were no other reasonable or successful options for further treatment. Sacroiliac fusions have been done in the past using large open techniques but the results from these have been disappointing. Recently, a minimally invasive technique has been developed to allow successful fusion of the sacroiliac joint through a small 1-centimeter incision on the side of the buttock. Patients typically will leave the hospital on the same day and have near immediate relief of their typical pain after these joints have been stabilized. This technique has emerged as a reasonable and successful option for patients with low back pain arising from the SI joint. Robotic navigation and image guidance have gained popularity in several medical specialties. These techniques are now also being utilized in minimally invasive spinal surgery. This current technology allows surgeons to plan the operation in a virtual 3D environment to create a surgical blueprint for each unique patient. The robotic guidance system can then be utilized to assure precision placement of devices. This can result in improved accuracy and reduced radiation exposure from imaging for both the patient and the surgeon. In addition, 3D rendering software is now being utilized in the preoperative planning to develop patient specific implants. Each implant is created prior to the surgery according to the specific alignment and potential correction of the specific patients spine. This has been a fascinating development, and the Spine Center is currently involved in a study utilizing these techniques with patient specific implants in complex spinal deformity surgery. 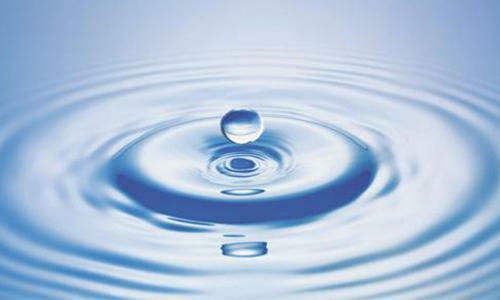 Stem cell research and utilization has increased significantly over the past several years. Several products have been developed to allow utilization in spinal surgery. Stem cells are harvested, combined with the patient’s blood and injected into the surgical site to allow more rapid healing of the fusion. This can be successfully used with the above minimally invasive fusion techniques to facilitate faster healing through a small incision. Studies continue on the use of stem cell components to facilitate disc healing and regeneration, and there are potential applications for further use of this technology in the near future.  The Spine Center at Bone and Joint Clinic is committed to the continued utilization, advancement, and development of minimally invasive spine surgery techniques. These procedures are currently utilized at the center and we strive to continue to develop and perfect innovative cutting edge techniques. This is accomplished through continued research and training that is on going at the Spine Center.